Looking for quick technology answers? You’ve found them! I agonized over this issue, so I thought I’d lend some pointers to anyone out there how needs it. There used to be no “great” way (I’m looking at you developer mode) to connect via openvpn with Chromebook/ChromeOS and pfsense. I finally googled to the end of the internet and found that with my version of ChromeOS (67.0.3396.99 ) and hardware I’m able to enable the “Play Store”. Once enabled I was able to install the free OpenVPN Connect Android app and import in my android .ovpn file from pfsense. Once imported the openvpn connection connected right up and I was able to reach the remote subnet. I deleted the openvpn profile and re-imported. Voila! All of my traffic started flowing through the vpn. I hope this helps someone out! Well, that wasn’t easy. I wish I had taken some detailed pictures. I was helping a friend with an SSD upgrade in his newer Samsung ATIV One 7 Curved. Disclaimer: the following steps document how I was able to open up the computer without damaging it. I make no representations or warranties that you will be able to complete these steps without damaging your computer. Take a guitar pick or plastic opening tool to pop loose all of the plastic tabs that hold the back panel on. Place the computer face down on a towel and “wedge” the pick or opening tool in between the black plastic back panel and the chrome surround. Start sliding it around the frame and hopefully you will get the feel of the clips popping loose. Once you have the clips mostly loose all of the way around you’ll need to open up and remove the “stand”. First, remove the base portion of the stand. The black plastic around the stand is actually two pieces. Use your pick or opening tool to separate them. Once removed you will find the screws that hold the stand onto it’s mount that is attached to the back panel. Remove the screws and the stand can be placed aside. 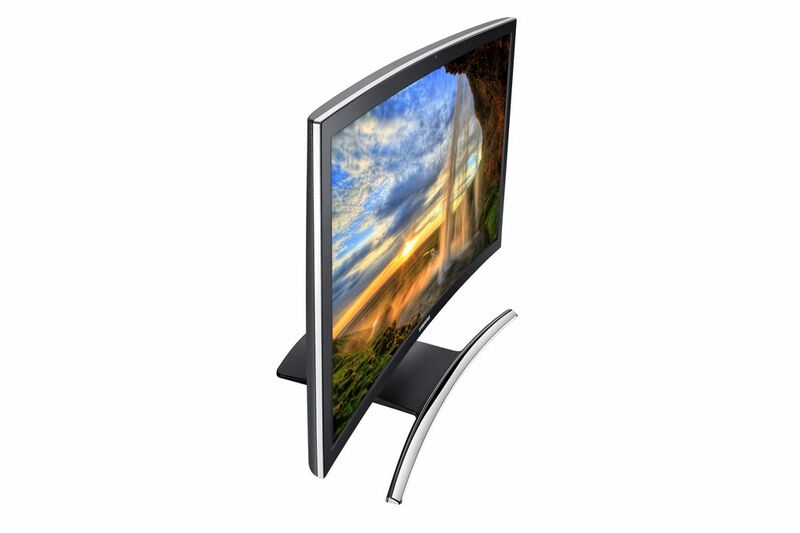 Now you will find 4 screws that hold the stand mount to the display chassis. Remove those screws and then you should be able to lift off the back cover. That was hard enough. 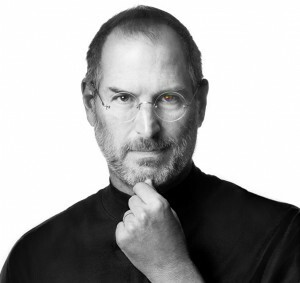 Farewell, Steve. I don’t think Apple can do it without you, but I hope they give it one heck of a try. This seemed impossible, until I found this post. It did the trick…thanks Andy! I’m having issues with airplay on my iPhone 4. When I come home from work I don’t get an airplay button when playing music. I’ve tried killing the music app, but no dice. Only thing that brings it back is a restart. Any ideas? I’ve been searching all over for a teardown or tear apart of the Dell Inspiron Duo. Fortunately, Dell has posted the service manual with pictures of the internals. 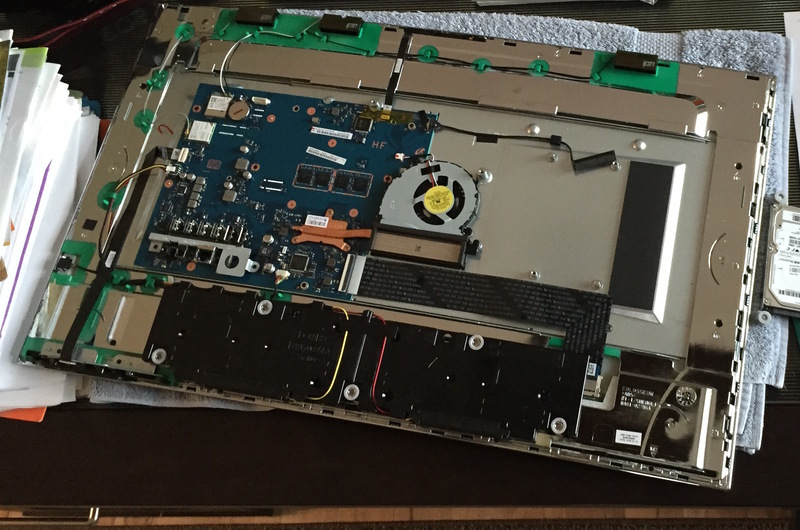 Follow this link to see the Inspiron Duo innards! A simple resync was all it took to bring my music back. A little annoying, but painless. iOS 4.2 stole my music! No Content?